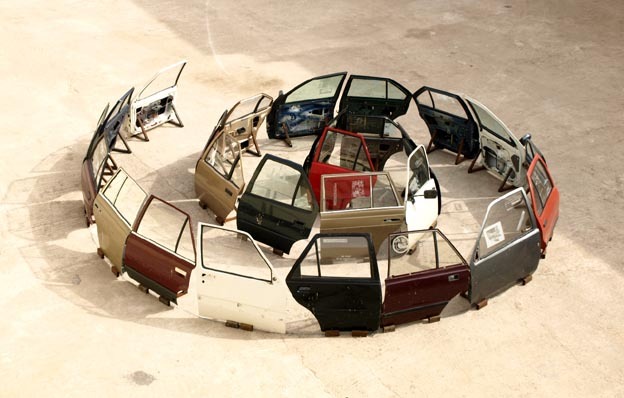 Seamus Farrell, "U.N. Circle Gwangju", 2008. Produced for the "Expedition 7 (Patries Relatives)" curated by Abdellah Karroum at the 7th Gwangju Biennale 2008 (Artistic Director Okwui Enwezor). 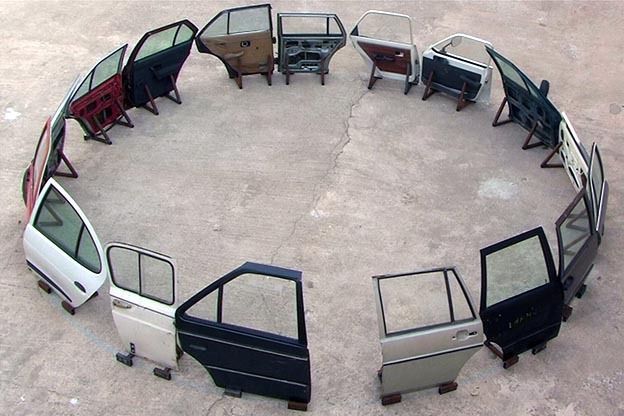 Seamus Farrell, "Spiral of Fez", 2008, Engraved glass, blown glass, drawing, car doors.